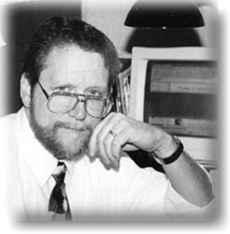 My name is Bob Green and I authored a series of columns for the Logan Daily in 1996. The central subject was the Internet and how it was beginning to affect local people and businesses. The column was entitled Net Watch and it included helpful Internet tips and explored Web resources that might be helpful for local users. It also included a good bit of my own opinion on a range of subjects. Concerning the Internet, quite a bit has changed since 1996. Concerning my opinion, it's even more opinionated. As in my first series of columns, I want to encourage readers to send me their comments, suggestions, web sites that might benefit other readers, tips, tricks, etc. If you have a story to share of how you have been positively or negatively affected by the Internet, send it to me at bobgreen@bobgreen.com. I will share some or all of your responses as this column progresses. Also, if you are aware of any special training events or seminars, I'll be happy to list them either here or on my web site at www.bobgreen.com. I learned about a couple of websites the other day that look extremely promising. The next time you are going to buy a computer or any electronic device and want to make sure that you are getting the absolute best deal, you might want to check out www.pricewatch.com or www.pricescan.com. Both sites scan through the Internet to find the best prices on a number of consumer electronics items. Simply type in the item and you get a list of manufacturers or dealers along with their price on the item starting with the lowest price. While we're on the subject of using the Internet to find bargains, how many of you have used any of the online auction sites like www.ebay.com? I used it once and was able to get printer cartridges that normally cost over twenty dollars for five dollars and they worked great. In the last few weeks I've talked with several people in Southern Ohio that have started lucrative businesses by selling antiques and other items on these online auction services. Have you used this service and if so has it been effective? Let me know. At the risk of boring non-business readers, I'd like to focus for the next few paragraphs on a concern that many organizations are currently faced with. eCommerce is the big buzz word for many of the business owners that I've spoken to recently. Seems like everyone would like to sell their products or services through a web page on the Internet but most don't have a clue as to how its done. Many were holding off to see what was going to happen at the first of the year. Y2K has come and gone and thankfully it was a bust. The bad news is that other similar businesses might have already got the jump by establishing an online presence. The good news is that the other businesses have also been the pioneers on the bleeding edge of technology. They have forged the path and marked, measured, and overcome the dangers and also taken the arrows in the neck! Now literally thousands of new businesses have cropped up to fill the demand by businesses large and small to assist in designing web pages, marketing those pages, training personnel, setting up security, etc. Even in remote areas of Ohio, we have a number of organizations that can help the local businesses. Is there anybody that can help you? Probably the best way get a list of potential resources is to contact a local Internet Service Provider that caters to businesses and sells high-speed Internet access lines called *T-1's. The Internet Service Providers talk with local Internet specialists on a daily basis and can typically put you in touch with the right people. *To get an idea what a T-1 line is, let's imagine an Amish buggy moving at about five miles per hour. Let's say that represents a typical 28.8K dial up account to a local internet provider. Now let's imagine a hot Indy car racing at a blistering 264 MPH. That would be the T-1. Businesses serious about moving into eCommerce will most likely need to buy a T-1 line. This not only enables them to tie their databases into their web page, but also permits multiple users to be connected all at once without the cost of multiple phone lines and multiple Internet accounts. Another place to ask about potential resources to help you are businesses that are successfully doing eCommerce. Dave Morris with Buckeye Honda in Lancaster had a web site www.buckeyehonda.com but didn't have high speed service. In an interview I had with him last spring, he said that they had been getting a lot of responses off of their web site, but that it had been taking too long to respond to customers' requests. "Right now, the way things are going and as fast-paced as business is, you have to be on the cutting edge all the time. We really want to make sure we respond to our customers as quickly as possible - because that's what they want." By having all of their sales people plugged into high speed Internet, Buckeye Honda's response time to online customer requests is nearly instantaneous. Fast Internet access has also been beneficial for servicing customers who walk into the showroom. "Each salesperson has Internet access at their desk. If a customer wants to do a comparative shop, the salesperson can log into www.toyota.com, www.honda.com or some other site and make a comparison between a Camry and an Accord. They can do that without the customer having to go out and look at the vehicles themselves." Pointing to the computer on his desk he added, "We can bring up comparison information right here." As an added plus, in the three-month period they have been connected to T-1 service, they have sold over a dozen vehicles directly off their web-site. They use an Internet service provider in Lancaster called Greenapple (www.greenapple.com). Okay, so much for business users and back to everyone. If anybody is using AOL or Compuserve, my advice is to dump them and go with one of our local Internet Service Providers (ISP's). The AOL service is kind of like training wheels for the Internet. My recommendation is to kick off those wheels and dive in. Beware of real cheap Internet service providers from national companies. Getting any type of support out of some of them can be a real hassle. Figure on about twenty bucks a month for a decent provider that has good local support. Is anybody aware of any rating comparisons for ISP's that would cover Logan, Circleville, and Lancaster? Let me know and I'll publish it or put it up on my website at www.bobgreen.com. Well, it looks like my space is about up. Surf safe and hopefully I'll be back soon with more stuff!